Free Downloads on christianaudio - Christian audiobooks. Try us free. If you live for people's acceptance, you'll die from their rejection. Two-time Grammy winning rap artist, Lecrae, learned this lesson through more than his share of adversity—childhood abuse, drugs and alcoholism, a stint in rehab, an abortion, and an unsuccessful suicide attempt. Along the way, Lecrae attained an unwavering faith in Jesus and began looking to God for affirmation. Now as a chart-topping industry anomaly, he has learned to ignore the haters and make peace with his craft. 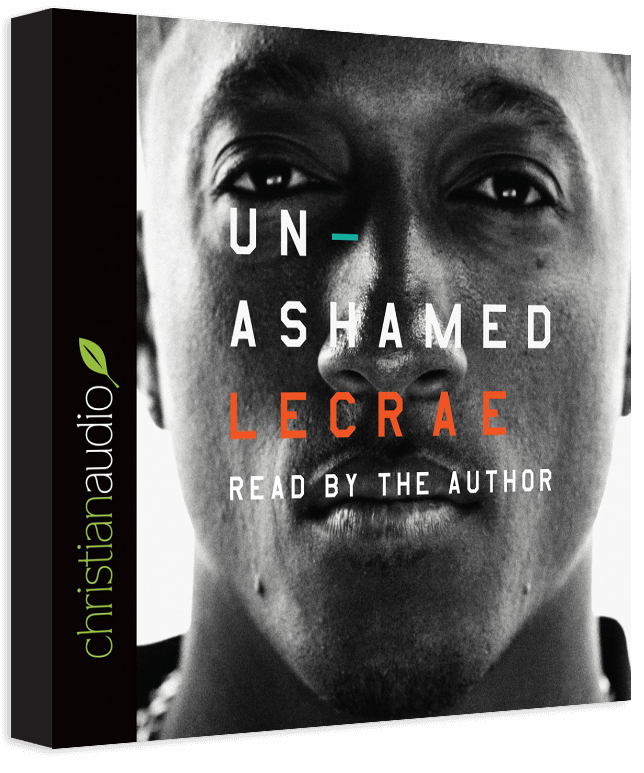 The rap artist holds nothing back as he divulges the most sensitive details of his life, answers his critics, shares intimate handwritten journal entries, and powerfully models how to be Christian in a secular age. This is the story of one man's journey to faith and freedom. Is this really free? Yes! Every month we give away one PREMIUM audiobook absolutely FREE. You will need to be logged into your christianaudio.com account and be subscribed to the newsletter. Just come back each month and confirm that you want the audiobook and it will be added to your library and be available in the christianaudio Android or iPhone App. How does it work? It's as easy as following the simple process above. You will be asked to log into your account or create an account (it's fast and free). Next we'll check to ensure you're on our newsletter list and then the audiobook will be added to "My Library"! If you're not already subscribed to our newsletter, you'll be required to confirm your newsletter subscription before the audiobook can be added to "My Library". We're often asked how one can make a donation to our free book program ...if you'd like to support our free download of the month program, you can do so by buying this month's free book at a discount through the end of the month or by sharing this page with your friends! To receive the free audiobook download, you need to subscribe to our e-mail newsletter list. We just need to confirm your email address to complete the process. Please click the “Yes, subscribe me to this list" link in the email we just sent you (*This can take a few minutes to send*). This enables you to get the free book every month! I just confirmed my subscription in the email christianaudio sent. Get the free book.